In this blog, I will explain how to crop an image and then upload that image using JQuery. Here you will come to know about preview an image, and then crop that image and finally upload it using JQuery and C# code. This implementation has been done using JQuery, so no postback only smooth user experience. Below code will show you how you can crop an image using JQuery and then upload to your desired folder. This code snippet contains the JQuery library, JQuery function which will read image and show a preview of the image in a defined container. 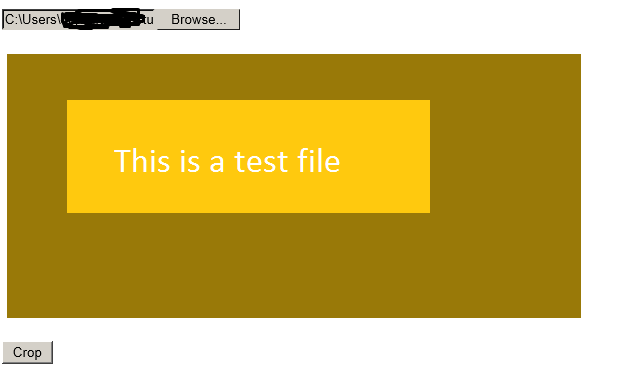 Below code snippet is a servcer side (C# code) implementation to upload final image to a folder on server. Once you will select an image move your cursor over image to crop an image, once area selected click on crop button and then click on upload button to upload the cropped image.